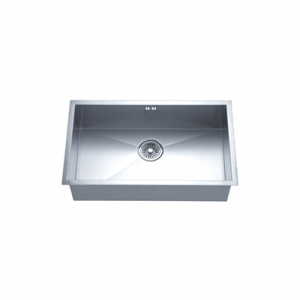 The CAE KN1014-1 Single Bowl Undermount Stainless Steel Kitchen Sink is ideal for any kitchen. This large, stainless steel sink is roomy and convenient. You’ll love the classic, stainless steel and stain finish of this sink. This sink was manufactured by CAE, one of the best in the industry. Are you sick of having to pile dishes onto the counter because there’s no room in the sink? If so, you’ve come to the right place. We are Fiberpol, and we have the best stainless steel sinks in the industry. This farmhouse sink is roomy enough for any project in your kitchen, whether you’re cooking for a large group, cleaning up after a feast or rinsing off a sink-full of vegetables. And since this sink was manufactured by one of the best names in the industry, CAE, you’ll have the peace of mind in knowing that you’re buying a quality product.